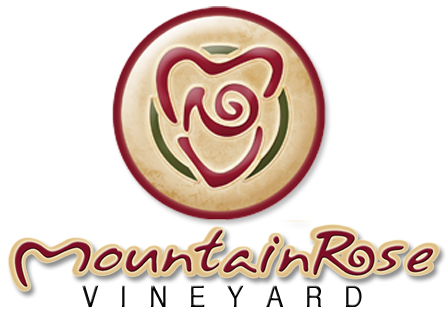 Come and visit us at MountainRose Vineyards! Taste our wines, tour the vineyard and winery, and stop and smell our over 100 varieties of roses! Don't forget to RSVP, attend, and enjoy one of the fun and exciting events we have planned for 2013. We offer many fun and exciting experiences listed below and others are added throughout the year so check our website and sign up for our newsletter. Please join us and consider planning your own fun-filled occasion as we host private events! Tours of the Winery & Vineyard: Reservations are required for most events. Some dates are subject to change and other events are added. Call for details. Wine Tastings: Daily, Monday through Saturday from 10:00 am to 6:00 pm. Free wine tasting for five wines with a $3 fee for additional tastings. Private Events: Schedule your party with us for a memorable event with great food and unique atmosphere. We can do a murder mystery for your birthday or company dinner. We even have a new outdoor area for that special occasion or wedding.